Aquaponics wouldn’t be very sustainable if we had to purchase fish food, so we are growing our own. “Duckweed” is a plant that grows on the surface of water that is extremely high in protein, doubles every few days, and tilapia love to eat it. 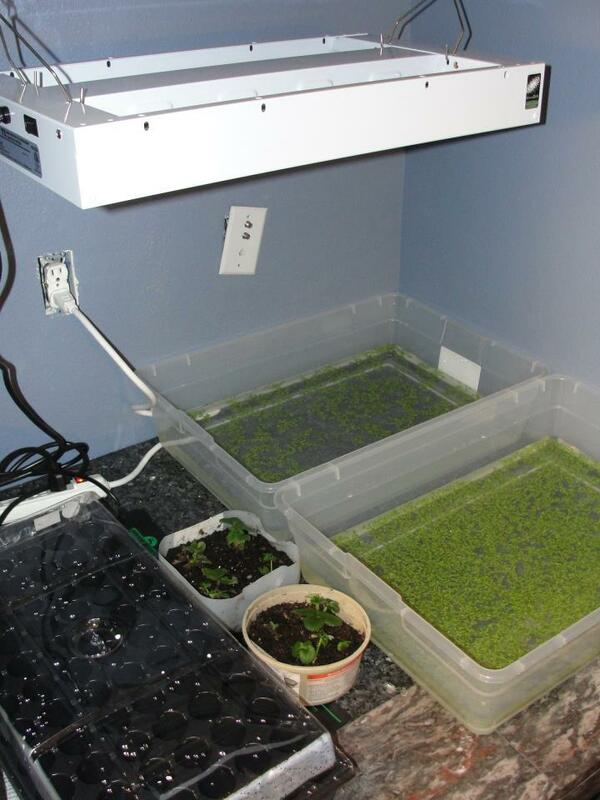 The duckweed is growing in 2 storage bins under a grow lamp. Duckweed needs calm water and light in order to grow efficiently. We will see if this reproduces as fast as everyone says it does. I will post an update with how fast it actually doubles based on my own findings once it is established. 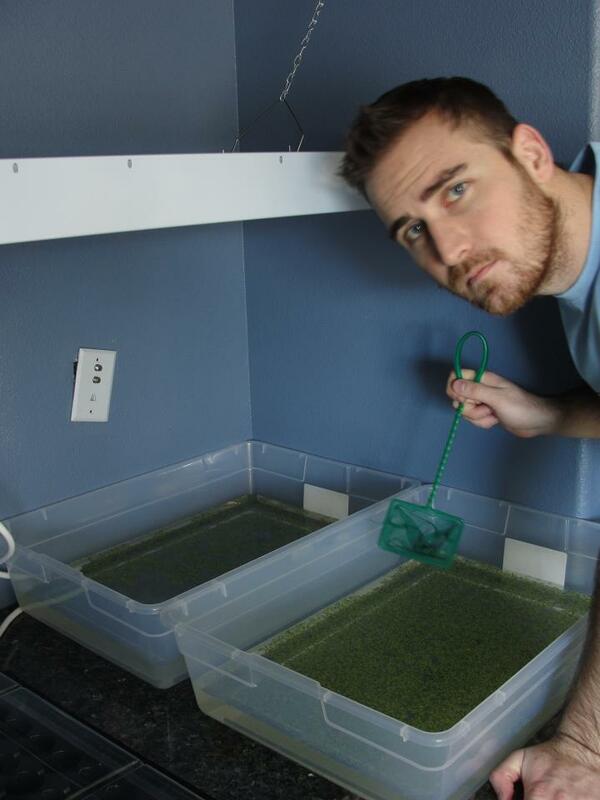 To “harvest” Duckweed you can simply strain it off the surface of the water using a fish net. It can then be fed directly to the fish or frozen to be used at a later date. You just want to leave enough that it can replenish itself.